"Do you trust me?!" Disney aired this new TV spot for Ava DuVernary's adaptation of A Wrinkle in Time, based on the novel by Madeleine L'Engle, during the Golden Globes show tonight. This is a rather intense, thrilling new spot with fresh footage we haven't seen. I'm pretty dang excited for this! Looks like some big sci-fi with the Disney touch. The story follows Meg, her brother, and her friend, who are sent into space by three peculiar beings in order to search and find their missing scientist father. 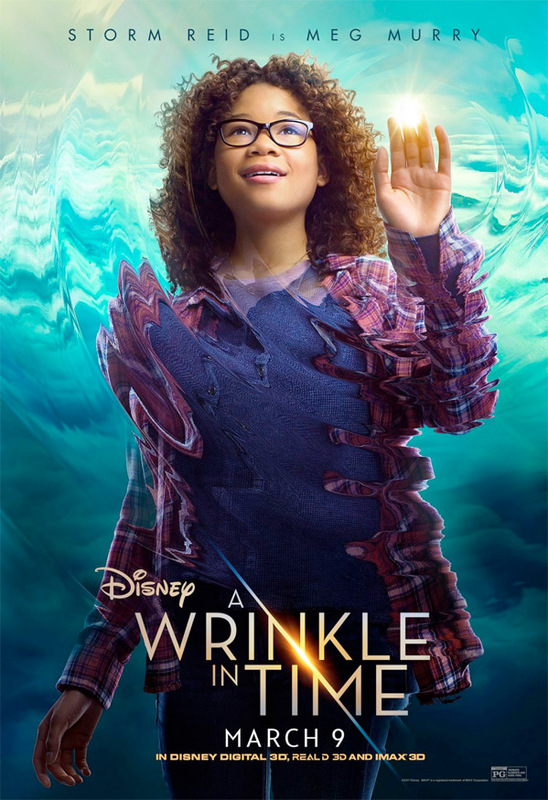 Starring Chris Pine, Reese Witherspoon, Gugu Mbatha-Raw, Michael Peña, Zach Galifianakis, Oprah Winfrey, Bellamy Young, Mindy Kaling, Rowan Blanchard, Levi Miller, André Holland, Daniel MacPherson, Will McCormack, Deric McCabe, along with Storm Reid as Meg. What an exciting TV spot, fire it up below.